Intermittent Fasting Works, But is It Better Than "Regular" Dieting? What Do the Latest Reviews / Meta-Analyses Say? Don't eat unless this brunette,... ah, I mean her clock tells you to eat. That's intermittent fasting (IF) - well, at least one out of at least three versions of eating by the clock people call "intermittent fasting". Needless to say that this doesn't make it much easier to decide if IF works or not. It has been some time since I wrote about "Intermittent Fasting" ("lean gains"-style, i.e. eat in a 6h-8h window everyday), "Fasting" (don't eat at all) and "Alternate Day Fasting" (eat very little / usually ~800kcal one day / and normal the next one, repeat). Against that background it is worth devoting a whole SuppVersity Research Update to the latest studies and reviews of IF and ADF. In the corresponding papers, Tinsley and La Bounty review the "effects of intermittent fasting on body composition and clinical health markers in humans", Varady et al. discuss "the determinants of weight loss success with alternate day fasting" and Seimon et al. address the question whether "intermittent diets provide physiological benefits over continuous diets for weight loss? ", as part of a short report in form of a systematic review of clinical trials. Do you have to worry about muscle loss and metabolic damage, when you're fasting? Usually I don't do this, but in view of the tons of articles I have already written about Intermittent Fasting, I feel like it is possible to start with the conclusion which says that "[i]ntermittent fasting thus represents a valid – albeit apparently not superior – option to continuous energy restriction for weight loss." Accordingly, the question I still owe you an answer to is "WHY? ", i.e. : "What makes intermittent fasting 'a valid' weight loss strategy? ", and "Why is it 'valid - albeit nor superior'?" Well, the answers to these questions are neither straight forward nor can they be answered objectively. As every review and/or meta-analysis, Seimon's paper ends with the researchers' subjective interpretation of selected, objective data. Data from a total of 40 publications involving humans of any age or body mass index that had undergone a diet involving intermittent energy restriction, 12 with direct comparison to continuous energy restriction. What all of these studies have in common is that they measured one or more of the following variables: Body weight, body mass index, or body composition before and at the end of energy restriction. What they did not share, though, was the type of "Intermittent Fasting". Practically speaking, this means that 31 of the 40 publications "involved ‘intermittent fasting’ of 1-7-day periods of severe energy restriction" - were thus rather "fasting" or "alternate day fasting" than classic "intermittent fasting" studies. More specifically: Seimon et al. also included studies like Arguin et al. (2012) in which the subjects were either dieting for 15 weeks at a moderate energy restriction or for 3 cycles of 5 week at higher energy deficits were interspersed by 3 cycles of 5 weeks on a calorically sufficient diet and the results were compared after each intervention, as well as one year thereafter. These obviously more important parameters are summarized in Table 1, and they don't show any inter-group differences. How much weight / fat loss and health improvements can you expect? While the Seimon study is excellent for detail, Tinsley's and La Bounty's short review features the more concise overview of the figures - albeit with the same general message, i.e. "intermittent fasting (in the broadest sense) works, but whether it's more effective than continuous energy reductions must be determined on an individual level". This does not negate that (a) alternate-day fasting trials of 3 to 12 weeks in duration appear to be effective at reducing body weight ( 3%–7%), body fat ( 3–5.5 kg), total cholesterol ( 10%–21%), and triglycerides ( 14%–42%) in normal-weight, overweight, and obese humans, and (b) that whole-day fasting trials lasting 12 to 24 weeks also reduce body weight ( 3%–9%) and body fat, and favorably improve blood lipids ( 5%–20% reduction in total cholesterol and 17%–50% reduction in triglycerides). Research on time-restricted feeding aka "lean gains"-style intermittent fasting, on the other hand, is still "too limited" (ibid.) to draw clear conclusions. The drop out rates were comparable for interventions involving intermittent energy restrictions (IER) and continuous energy restrictions (CER). Significant reductions in body weight, size (waist, hip, etc.) and adiposity can be achieved with both intermittent energy restrictions (IER) and continuous energy restrictions (CER). If we go by weight loss which happens to be the most frequently measured study outcome in Seimon's selection of studies, the results are comparable for IER and CER. A reduced drive to eat, on the other hand, appears to be a unique advantage of intermittent energy restrictions, where eating very little for a fixed time period appeared to be easier to handle for the subjects then the grazing that's part of many CER interventions. This is an important results, after all, one of the mainstream arguments against intermittent or alternate day fasting is that they will trigger an overcompensation on the (re-)feeding day - a phenomenon that was not observed. On the contrary, "participants only consuming an average of 95% of their calculated energy needs on feed days" (Seimon. 2015). This is particularly noteworthy because "this apparent suppression of the drive to eat occurred despite decreased circulating levels of the appetite-reducing hormone, leptin, following IER" (Seimon. 2015). Whether this is related to an increase in ketone bodies in the IER studies that was non-existent or less pronounced in the CER trials will still have to be elucidated, though. A trend towards mood disturbance, tension, anger and confusion was observed in only one study. A study by Hussin et al. (2013) that was done in aging normal-weight men and the results of which stand in contrast to what Johnson et al. found in overweight subjects in 2007. 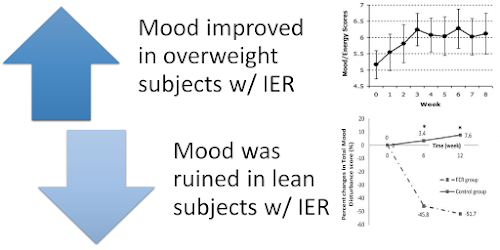 Figure 1: Intermittent energy restrictions (IER) appear to be better suited for the obese, whose mood improves during th fast, while the mood of lean subjects decreases sign. (Hussin, 2013 & Johnson. 2007). In conjunction with the increased drop-out rates in Hussin's study, we may argue that a lack of triglyceride and FFA releasing adipose tissue may make IER interventions harder to adhere to - probably, because of a simple lack of available energy during the fast. In view of the sign. reductions in leptin in IER interventions it is hardly surprising that Seimon et al. 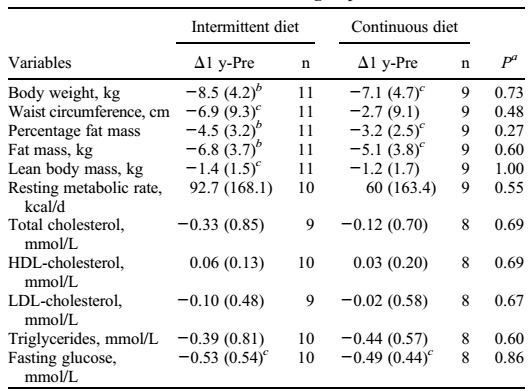 didn't find convincing evidence that IER would ameliorate the reduction in resting metabolic rate that's an inevitable (temporary) side effect of any dieting regimen. One (de Groot. 1989) out of three studies that made a direct comparison between the two even found a further reduction in resting metabolic rate (RER) in the IER group, the others found no difference (Hill. 1989; Harvie. 2011; Arguin. 2012). Overall, it would yet appear as if any potentially existing difference was negligible. Other metabolic adaptations such as a reduced IGF1 production were observed only in trials where the subjects fasted with liquid meals (Kroeger. 2012). No difference and on average comparable improvements in glucose homeostasis were observed in the 20 studies that tested respective parameters in detail. While there are individual studies that suggest advantages for one or another method, the overall picture that emerges is that there are no systematic differences - a conclusion that would also explain the - in parts - contradictory results from pertinent studies. Lastly, it must not go unmentioned that the addition of exercise to IER will make it - just as it is the case for CER, by the way - more effective and will thus shed more fat (and maintain more lean mass) than IER alone. 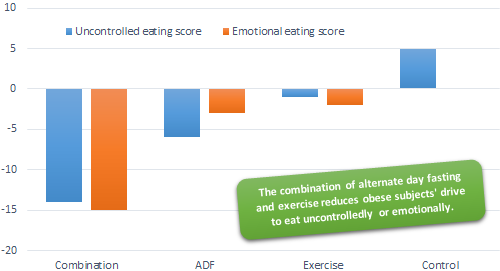 Figure 2: The combination of alternate day fasting and exercise reduces uncontrolled and emotional eating in 64 obese subjects over the course of a 12-week study (Bhutani. 2013). Somewhat surprising, but in view of the overall anti-appetite effect of fasting not impossible is that the combination of exercise with IER also reduced the subjects' craving for uncontrolled and emotional overeating (Bhutani. 2013). In view of the fact that only 12 of the 40 publications included in Seimon's review directly compared IER with CER, it is yet important to remember that we are far from being able to tell who will benefit most and who least from "intermittent fasting" (in the broadest sense). If you review the above summary of the results, you will yet have to agree that it would appear as if men and women who still have a ton of weight to lose could fare better with intermittent or alternate day fasting, while lean individuals may, but don't necessarily have to struggle with the lack of readily available energy during the fast. Figure 3: While race matters and Caucasians appear to do much better on alternate day fasting regimen, the baseline body weight (and BMI | not shown) doesn't make a difference in the 4 ADF trials Varady et al. reviewed (2015). At least in the 8-week ADF studies Varady et al. reviewed in their previously mentioned short report in Obesity Research and Clinical Practice, however, the initial body weight was not a good predictor of weight loss success. Rather than that, "[s]ubjects aged 50—59 y achieved greater (P = 0.01) weight loss than other age groups" and "Caucasian subjects achieved greater (P = 0.03) weight loss than other races" (Varady. 2015) with the alternate day (ADF) version of "intermittent fasting". With only 5 out of the 40 studies in Seimon's review having a follow-up and no follow-up in any of the ADF studies in the previously cited short report by Varady et al. (2015), the long-term benefits or detriments must be considered largely under-researched, at the moment, too. Evidence From the Metabolic Ward: 1.6-2.4g/kg Protein Turn Short Term Weight Loss Intervention into a Fat Loss Diet. 1.6g/kg not 2.4g/kg Offers Optimal Muscle Protection | learn more! So what's the verdict then? Well, firstly: Intermittent fasting works. It's not exactly well-researched, though. 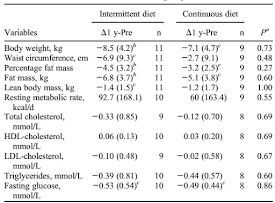 Accordingly, it is difficult to say (a) who would benefit most / least, (b) which form of intermittent fasting ("lean gains" 6-8h window everyday vs. alternate day vs. total fasting) works best and (c) how (a) and (b) interact with with each other: It is for example well possible that the discrepancy between the effect on appetite in lean vs. obese individuals I highlighted in the main body body of this article occurs only with simple (as in Hussin. 2013), yet not with more complex methods of fasting as ADF or the 6-8h fasting window at a freely chosen point in time. 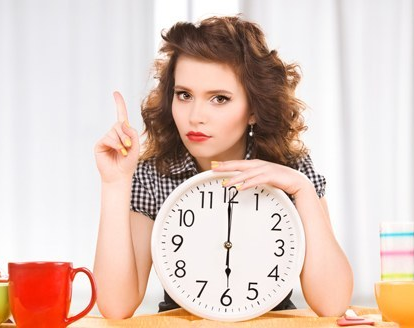 Overall, the best advise I can give you is thus to try if and which type of intermittent fasting works for you. What I cannot recommend is any form of extended fasting, where you are consuming very low amounts of energy (like 400-600kcal) for more than just one day. In addition, you want to make sure to lift weight and consume enough (~1.5g/kg) protein even on fasting days to conserve lean muscle mass | Comment on Facebook! Arguin, Hélene, et al. "Short-and long-term effects of continuous versus intermittent restrictive diet approaches on body composition and the metabolic profile in overweight and obese postmenopausal women: a pilot study." Menopause 19.8 (2012): 870-876. Bhutani, Surabhi, et al. "Effect of exercising while fasting on eating behaviors and food intake." J Int Soc Sports Nutr 10.1 (2013): 50.
de Groot, Lisette CPGM, et al. "Adaptation of energy metabolism of overweight women to alternating and continuous low energy intake." The American journal of clinical nutrition 50.6 (1989): 1314-1323. Harvie, Michelle N., et al. "The effects of intermittent or continuous energy restriction on weight loss and metabolic disease risk markers: a randomized trial in young overweight women." International journal of obesity 35.5 (2011): 714-727. Hill, James O., et al. "Evaluation of an alternating-calorie diet with and without exercise in the treatment of obesity." The American journal of clinical nutrition 50.2 (1989): 248-254. Hussin, N. M., et al. "Efficacy of fasting and calorie restriction (FCR) on mood and depression among ageing men." The journal of nutrition, health & aging 17.8 (2013): 674-680. Johnson, James B., et al. "Alternate day calorie restriction improves clinical findings and reduces markers of oxidative stress and inflammation in overweight adults with moderate asthma." Free Radical Biology and Medicine 42.5 (2007): 665-674. Seimon, Radhika V., et al. 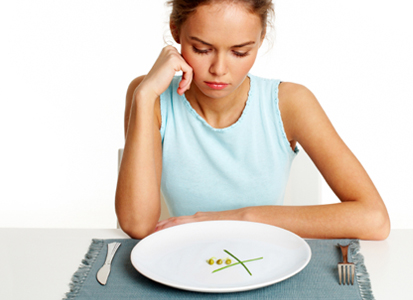 "Do intermittent diets provide physiological benefits over continuous diets for weight loss? 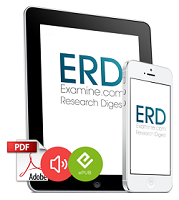 A systematic review of clinical trials." Molecular and Cellular Endocrinology (2015). Varady, Krista A., et al. "Determinants of weight loss success with alternate day fasting." Obesity Research & Clinical Practice (2015).